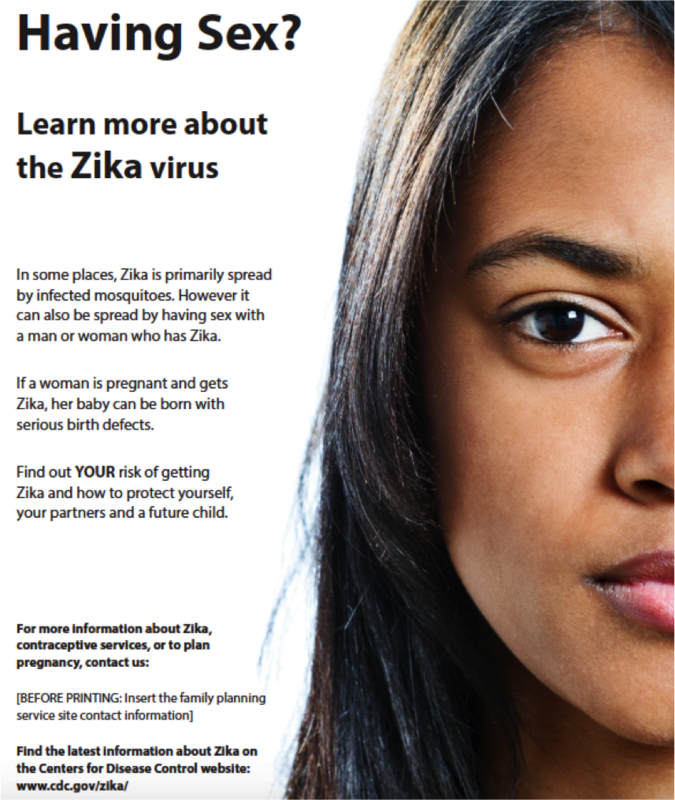 The Department of Health and Human Service's Office of Population Affairs provides a sample of adaptable posters that outreach organizations may post on their walls to inform their clients of available family planning services in the context of Zika. Before printing these posters, insert the contact information for your family planning service site. Additionally, the key messages and images on these posters may serve as examples if creating posters specific to a local community.